A completed HVAC system is not complete without sheet metal! 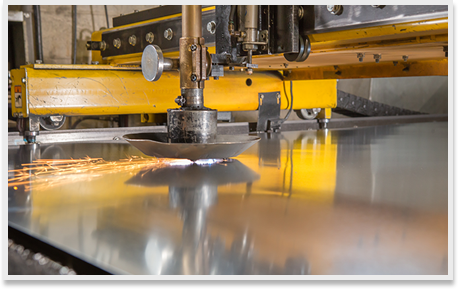 The professionals at Ontario Heating Ltd. are fabricators of sheet metal products for all building applications. Our highly trained fabrication technicians work with you throughout the process, taking the time to understand the exact requirements of your installation before commencing the work. We carry a variety of metal in all sizes ranging from 10 to 30 gauge, and material options include galvanized, stainless, and satin-coat steel. Ontario Heating Ltd.’s fabrication teams are experts at crafting round and rectangular ventilation fittings, and we have years of experience with manufacturing spiral pipe in from 4’’to 50’’ diameter. We always deliver high-quality products with unsurpassed attention to detail. When you need a custom sheet metal construction, a fast turnaround time is essential. To serve our clients efficiently, we use state-of-the-art machinery throughout our process, and we work closely with our contractors at every step. Contact us to obtain more information about our sheet metal our fabrication services for your next HVAC project.